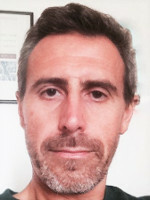 Claudio Morana is Professor of Economics at the University of Milan-Bicocca (Italy). He holds a PhD in Economics from the University of Aberdeen (Aberdeen, UK). He has been consulting the European Central Bank and he is an Executive Committee Member of the Society for Nonlinear Dynamics and Econometrics (SNDE), Fellow of the Center for Research on Pensions and Welfare Policies (CeRP, Collegio Carlo Alberto, Moncalieri) and member of the Editorial Board of the Open Journal of Statistics and the Asia-Pacific Journal of Mathematics. His research interests include time series, macro and financial econometrics, the macro-finance interface and the interconnection of financial and economic cycles. He has published over 70 articles in academic journals, including the Journal of Econometrics, Computational Statistics and Data Analysis, Journal of Empirical Finance, Journal of Banking and Finance, Journal of International Money and Finance, Journal of Economic Dynamics and Control, Physica-A.